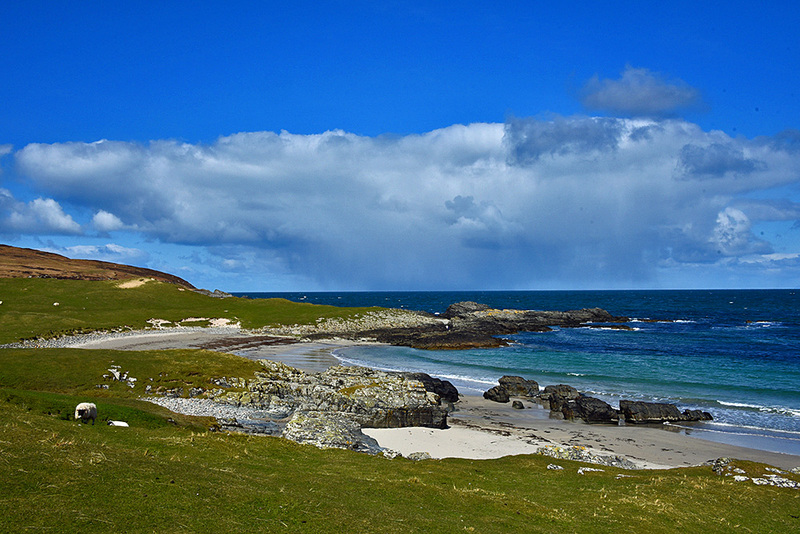 April weather on Islay: while it is still sunny at Sanaigmore Bay a heavy rain cloud is approaching from the Atlantic. This entry was posted in Beaches, Cloudy Weather, Landscape, New Post, Sunny Weather and tagged Islay, Sanaigmore, Sanaigmore Bay by Armin Grewe. Bookmark the permalink.